We offer high efficiency Crystal White Marble that are made by from the premium raw materials to add durability and performance. Backed by profound experience of our experts, we are an unparalleled name engaged in providing a high-quality assortment of Crystal White Marble. We offer high efficiency Crystal White Marble that are made by from the premium raw materials to add durability and performance. 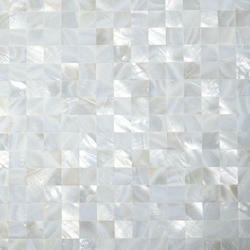 Available in a variety of sizes, our Crystal White Marble can be customized as per the needs of the clients. These are available at market leading prices. For more details contact us. 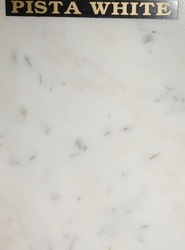 - Crystal Marble (CM) has unique properties such as soft colour, zero water absorbtion, excellent weather durability, high gloss, maintenance free and none radioactive. CM is the only stone product with absolute acid and alkali resistance. Granite Cutting Thickness: 2 cm, 3 cm, 4 cm, 5 cm, 6 cm, 7 cm and 8 cm.